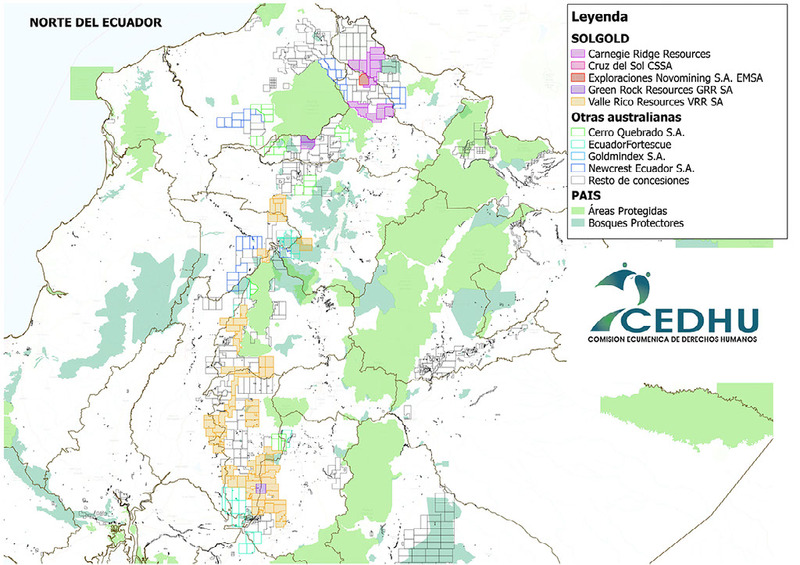 Many of the mining concessions being handed out in Ecuador are within protected forests and indigenous reserves in outright violation of Ecuador's Constitution. No prior consultation occurred with affected communities. The degradation of protected areas, such as Bosques Protectores (Protected Forests), and the spread of mining roads and camps (and eventually mines) within the buffer zones of globally significant areas like the Cotacachi-Cayapas Ecological Reserve, risks hundreds of species listed by the International Union for Conservation of Nature (IUCN) as threatened, endangered or vulnerable. Mining represents a short-term investment with great long-term costs to the people of Ecuador. We cannot maintain the illusion that mining can be done without grave ecological and human health consequences, consequences that are well documented in scientific literature. 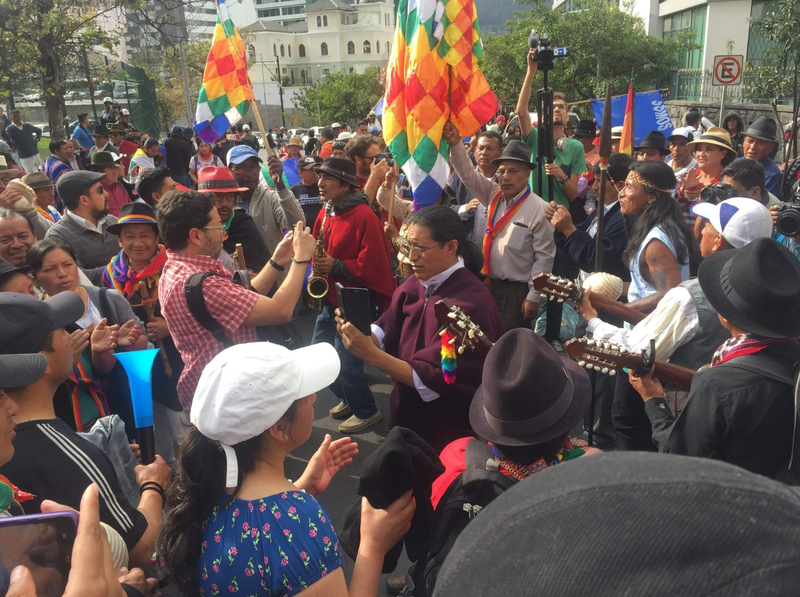 At a referendum in February 2018, 67% of Ecuadorians voted overwhelmingly to roll back mining, particularly in forested areas. Despite this, mining concessions continue to be handed out. 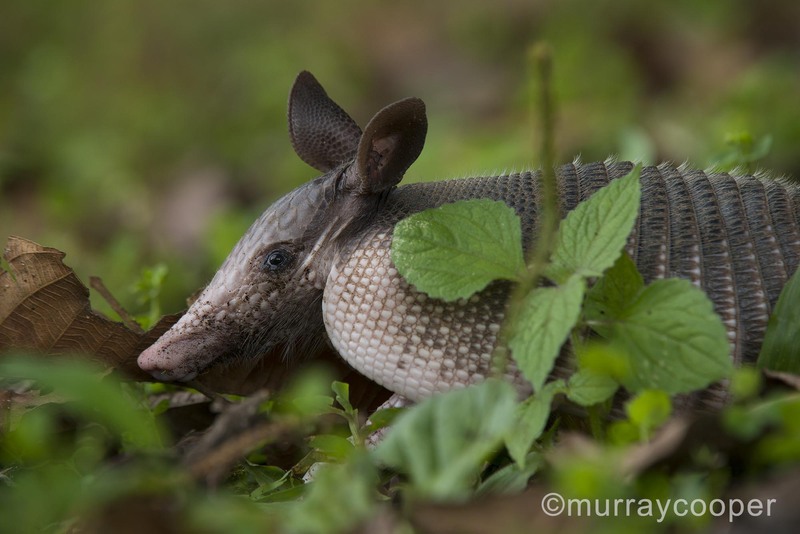 One of the protected areas conceded to Australian mining companies is the Los Cedros Biological Reserve which was set up with the help of the Australian Rainforest Information Centre almost 30 years ago, along with a substantial grant from AusAID. The Los Cedros Biological Reserve consists of 17,000 acres of incredibly rare, premontane wet tropical forest and cloud forest, one of the most biologically diverse and endemic habitats on Earth. Over 95% of this forest type has already been lost. Los Cedros is not accessible by road, and for this reason has been - until now - both better protected, and less scientifically explored than some other Protected Forest reserves in Ecuador. The biodiversity in this last intact watershed is remarkable, yet most of it remains to be discovered and understood. Among the most significant animal species found at Los Cedros is the critically endangered brown-headed spider monkey (less than 250 remain in the wild), the neotropical otter, margay, puma, jaguar, and spectacled bear. Unsurprisingly, Los Cedros is also a bird hotspot. At least 298 bird species have been seen along the short trail system, including numerous endemic species found only in the cloud forests of the Chocó region, secretive species like the lanceolated monklet, and newly discovered species such as the cloud forest pygmy owl. Of the birds seen at the Reserve, at least 10 are endangered, threatened, vulnerable, or near threatened due to habitat loss. The forest is also extraordinarily rich in plant species. A field study estimated an average of 299 tree species per hectare, an estimated 400 orchid species (many of which were first discovered in the Reserve) and a very high number of local endemic species with small ranges. For a page full of details of the incredible splendours of Los Cedros (along with some spectacular photos) Click here. Click here to view a 23min documentary about the reserve. A respected Ecuadorian lawyer is working to put in place a legal injunction to stop the incursions into the Los Cedros reserve. We have been advised that if we can mount a legal case, there’s a good chance of success. 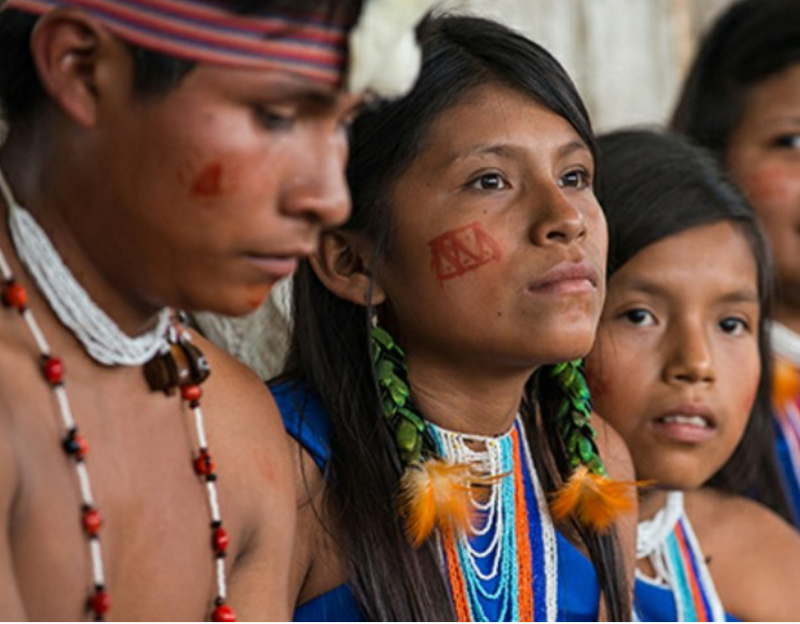 This will also be an important test case to set a precedent for the 42 other Protected Forest Reserves and the large tracts of Indigenous Territories currently under mining concessions in Ecuador. 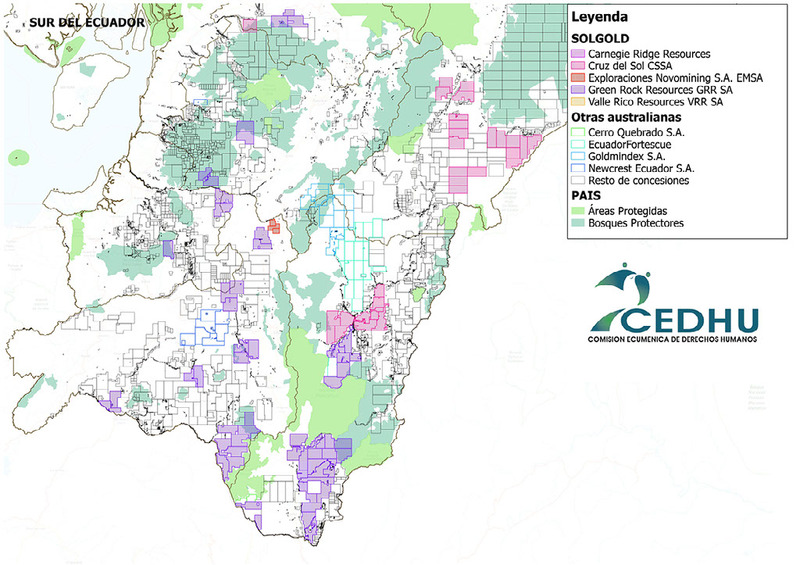 A win for Los Cedros could help save roughly 1.82 million acres, (or more than 30% of the total land area currently 'protected' by these reserves) along with 2.47 million acres of Indigenous Territories. Funds raised from this crowd funding campaign will support the recently established Los Cedros legal fund to pay for evidence gathering, court fees and other associated legal costs. The reserve volunteers are facing spiralling legal costs and need at least $5000 to put together the strongest legal case possible. Sign the PETITION calling on the Ecuadorian government to uphold the law and end mining in the Los Cedros protected forest reserve.